Ten-year-old twins Joe and Jemima Lancelot get the shock of their lives when their parents disappear without a trace and with no explanation. The only clues are a mysterious old book that had belonged to their father and a piece of jewellery belonging to their mother … something she always wore. The only witness to part of their disappearance is Max, their unusually talented Tonkinese cat. Months pass with no further information, and so the twins begin a new life with their Uncle Richard, a professor of archaeology. Although he hasn’t any kids of his own and isn’t very good at parenting, luckily his wonderful housekeeper, Mrs. Garland, makes the twins feel at home. Uncle Richard said Max (short for Maximus) could stay too, so, apart from deep sadness about their parents, the twins settle into a new routine. Charlie Green, the shy boy next door, soon becomes their best friend. One rainy day, the twins decide to look at their father’s old book. In an amazing magical moment, they manage to open the book and, accompanied by Charlie and Max, are transported to the lost city of Atlantis. They befriend a kind family but the disaster facing the city soon becomes their problem. The trouble is, only a few people believe their warnings. Can they escape dangerous enemies, save the city, and get back to their own world before it’s too late? And where are their parents? I loved this story. The kids are all clearly defined, and bring their own thoughts and personalities to this well-paced adventure: Joe always daring and often impetuous; Charlie a little hesitant but getting braver; and Jemima, sensitive and perceptive. Max is a unique character all on his own: wise beyond his years, observant, and alert to any hint of danger. He adds a lovely touch of humour with his cryptic comments. Wonderful descriptions bring the past to life and create a sense of otherworldliness mixed with reality. The story of Atlantis is one of those incredible mysteries that people aren’t quite sure is true or not. I’m a firm believer and I really enjoyed how much authentic detail the author includes in describing the history and legends of Atlantis and its origins. Greek mythology interweaves nicely with the story and makes for easy and interesting learning for young readers. This book is the start of a series that takes Joe and Jemima on new and exciting adventures into the past. Highly recommended. Wendy Leighton-Porter has embarked upon a series of 15 time travel adventures Shadows From the Past. 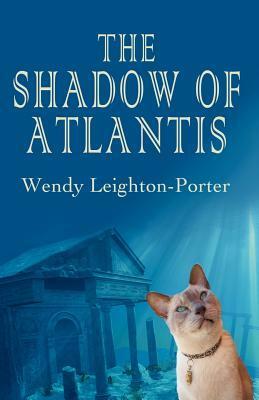 The Shadow of Atlantis is the first in what promises to be a magical journey for everyone! Having recently completed number 6, The Shadow of Camelot, Wendy is currently writing the seventh book in the series, The Shadow of the Norman Arrow, featuring William the Conqueror, the Battle of Hastings. Reviewer’s bio: Fiona Ingram is an award-winning middle grade author who is passionate about getting kids interested in reading. Find out more about Fiona and her books on www.FionaIngram.com. She reviews books for the Jozikids Blog. Cynthia and Gus are traveling through time again. Having solved many mysteries in the past, they soon discover something is very wrong and things are unraveling. Aunt Belle is missing…again! Cynthia’s great-grandfather, Beau, was never found! Is Blackie still making life miserable for Lilly and Annie? The girls journey into a strange woods with disastrous results. They find scary creatures and dark secrets along the way. Though someone or something seems to have reversed the good work they have done during their previous time travels, the girls are determined to set things right again, meeting new friends along the way. I haven’t read all the books in this series. Book 4, The Magician’s Castle, introduced me to Cynthia and Gus and the magic attic that helps them travel through time. Like the fourth book, this new one has tons of time-traveling adventure for everyone. From 2014 to 1964 to 1914 and hopefully back home again, Cynthia, Gus, Nicole and Leeza find themselves trying to track down what is happening when they discover Aunt Belle is missing again and great-grandfather Beau was never found. This is a light and fun read. A perfect stand-alone story, but I’m eager to read the first three books now so I can see where Cynthia and Gus’s adventures started. Readers will enjoy unlocking this mystery along with the girls as they seek to make things right again. 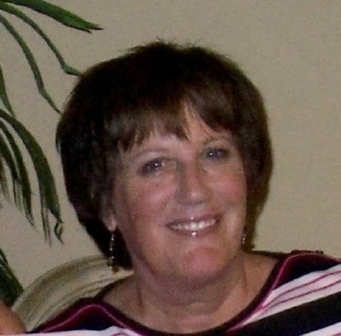 Mary Cunningham has created a fabulous set of characters with distinct personalities. They complement the engaging plot perfectly. This is a fantastic book. I’m sorry to see the Cynthia’s Attic series end, but I’m eager to see what Cunningham comes up with next. I received a free e-copy of this book from the author in exchange for my honest opinions. I received no monetary compensation of any kind for this review. 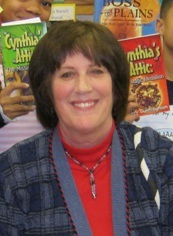 Author, Mary Cunningham, is excited to announce the release of the 5th and final book in the award-winning series, Cynthia’s Attic. 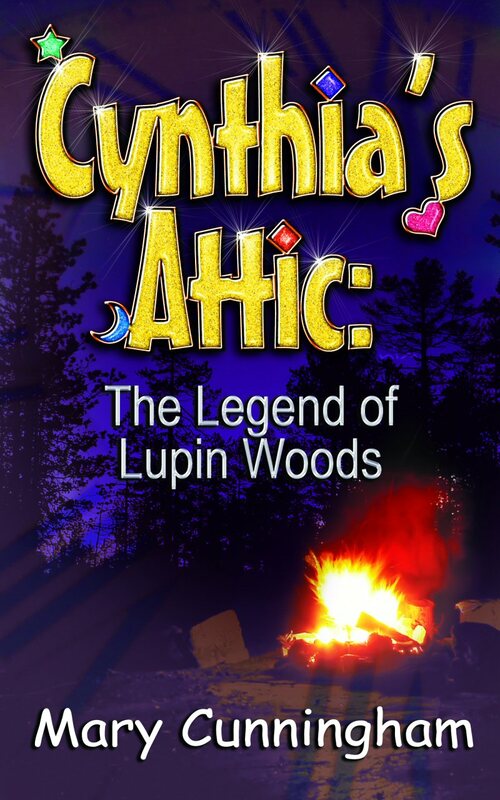 Look for my review of The Legend of Lupin Woods coming tomorrow! Joining us today is Mary Cunningham. 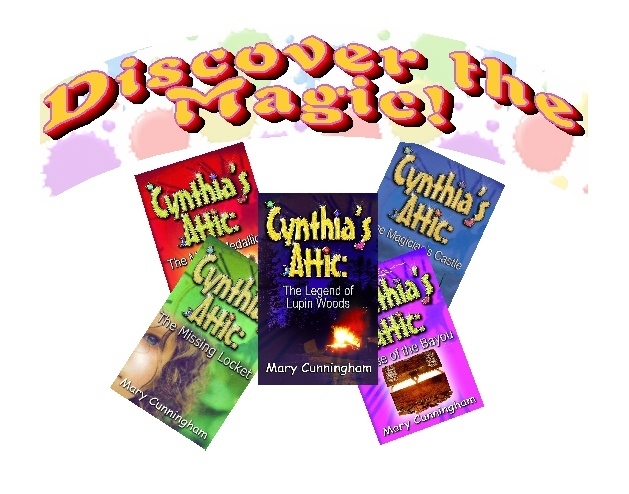 Mary is the author of the Cynthia’s Attic series, a set of fantasy/mystery time travel books for tweens. Book 4 in this series, The Magician’s Castle was recently released by Echelon Press. We’ll talk to Mary about this series, the challenges of writing for tweens, and what the future holds. Welcome to The Children’s and Teens’ Book Connection, Mary. We’re thrilled to have you with us. Can you start off by telling our readers a bit about yourself? So happy to be here, Cheryl! Here’s sort of a Reader’s Digest. 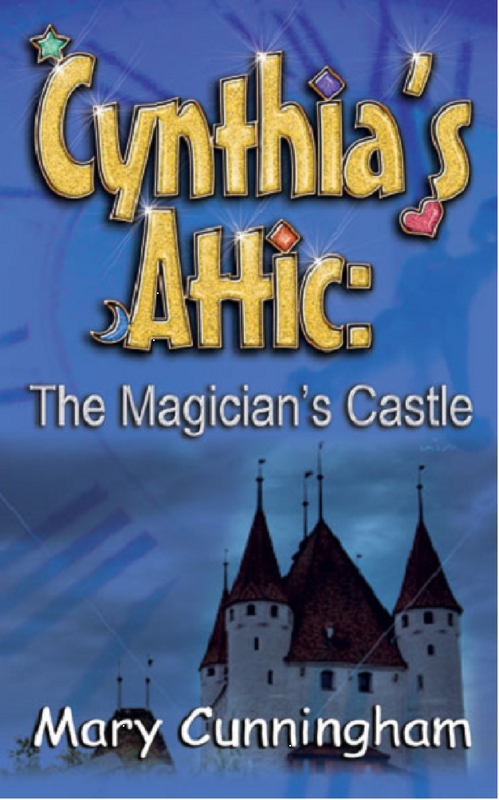 I’m the author of the award-winning ‘tween fantasy/mystery series, “Cynthia’s Attic,” and am proud to announce the release of book four, The Magician’s Castle, DEC 1. I’m also co-writer of the fabulously funny (No! Seriously, it really is) women’s lifestyle book titled, Woof: Women Only Over Fifty, and am especially proud of my newly published short story, “Ghost Light” and my first “Cynthia’s Attic” short story, “Christmas Daisy”. I’m a member of The Georgia Reading Association, and the Carrollton Creative Writers Club (A crazy-good bunch of writers!). When I give my fingers a day away from the keyboard, I enjoy golf, swimming and exploring the mountains of West Georgia where I make my home with my husband. How long have you been writing and what is it that made you put pen to paper? I guess I inherited the desire to write from my dad. He was a journalist for over 40 years and my inspiration. In fact, I’d go with him, on occasion, when he interviewed an interesting character for a story. Wish he’d been around to see the books! From the time I was in 3rd grade, I was told to never stop writing. And, sure enough…40 years later, my first book was published! I have written all my life, but never considered writing fiction until I got the idea for “Cynthia’s Attic.” The first story was prompted by a recurring dream I’d had for over 20 years about playing in a mysterious attic. Once I realized that the attic was in the home of my childhood best friend, Cynthia, the dreams stopped and the writing began. What about writing for the tween market is appealing to you? I guess the best answer is that this age group is so open and honest. I do writing and idea presentations at elementary schools and I find the students to be so enthusiastic, not only about reading, but also about writing. I love the questions and the excitement on their faces when they describe a particular scene in one of the “Cynthia’s Attic” books. If I can inspire even one student to write, then I’ve done my job. What is the greatest challenge of writing for this market? Being on your toes! If you’re not completely factual, then this group will catch you. Tell us about the Cynthia’s Attic series. Disappearing stairs and a spooky attic filled with dusty antiques–what more could two adventurous young girls ask for? Best friends, Cynthia and ‘Gus’ are as “different as bubble gum and broccoli”. They discover a magical trunk in Cynthia’s attic, and are swept through the trunk back in time, into the lives of their ancestors, including their twelve-year-old grandmothers. So far, there are four books in the series, The Missing Locket, The Magic Medallion, Curse of the Bayou and The Magician’s Castle. Did you plan this as a series from the very beginning? Not at all! It began as a simple, 5-page memoir about playing in Cynthia’s attic. That didn’t satisfy my muse. So I started writing a fantasy/time travel story that turned into a 160 page book that led to the second book. Each story ended with a cliff-hanger leading to another Cynthia-Gus adventure. Can you talk briefly about the first three books in this series and Cynthia and Gus’s adventures? Each story is loosely based on family stories and ancestors. In The Missing Locket, Cynthia and Gus travel back to 1914 and are compelled to help find a missing heirloom, a gold locket. During their search, they meet their 12-year-old grandmothers who are also best friends! An unexpected trip across the Atlantic Ocean brings danger and friendship with a young ghost. The Magic Medallion finds the girls in the middle of a family’s battle for a precious magic medallion. They journey to a circus where they are forced to perform with the clown troupe, get caught in the swirling waters of an underground river and then a forest fire! Our time-traveling duo find immediate danger in the Louisiana Bayou. They’ve traveled back to 1914 in Curse of the Bayou searching for Cynthia’s great-grandfather who disappeared while taking a boat load of produce down the Mississippi River. Pirates, shape-shifting puma, an old Cajun guide named Mudbug and a hungry alligator keep them on the move. What is it about Cynthia and Gus that readers will like and relate to? Great question! Since the characters are based on me (Gus) and my real childhood friend, Cynthia, I’d love readers to embrace the loyalty and unquestioned friendship between the two girls. Although they argue from time-to-time, they always have the other’s back. Older readers will also enjoy the different time periods detailed in the books. In Book 4, The Magician’s Castle, a magician whose fiancée has disappeared through the magic trunk is seeking revenge against Cynthia’s family. What year are we in during this book and where is it set? Cynthia and Gus travel back to a 1914 Swiss castle searching for clues to the Kathryn’s disappearance, then move unexpectedly forward to Southern Indiana in 2014, where they get the surprise of their lives when they meet another pair of best friends. In addition to Cynthia and Gus, there is a long list of characters featured in the front of the book. Do you have a favorite character(s) from this book? I have favorite characters in all four books, but in The Magician’s Castle, I guess my favorite character is Molly. When I began writing the fourth book, Molly, my 16-year-old adopted mix doggie was a huge part of my life. Halfway through, I lost her to old age. During my grieving process, a friend suggested I write her into the book. What a great idea! She plays such a significant role, in helping Cynthia and Gus discover clues, that I can’t imagine the story without her, and am satisfied that I’ve honored her memory for years to come. Where can readers purchase a copy of The Magician’s Castle and the other books in this series? The books are available in paper back on Amazon and just about any online bookstore. They’re also available as downloads on Kindle and through Fictionwise. Do you have website and/or blog where readers can find out more? Mary Cunningham Books and Cynthia’s Attic Blog. What does the future look like for Cynthia’s Attic? Any news you would like to share with fans of Cynthia and Gus? Although I’ve written another cliffhanger at the end of Book Four, I haven’t decided on a storyline or even who the main characters are going to be! Stay tuned. 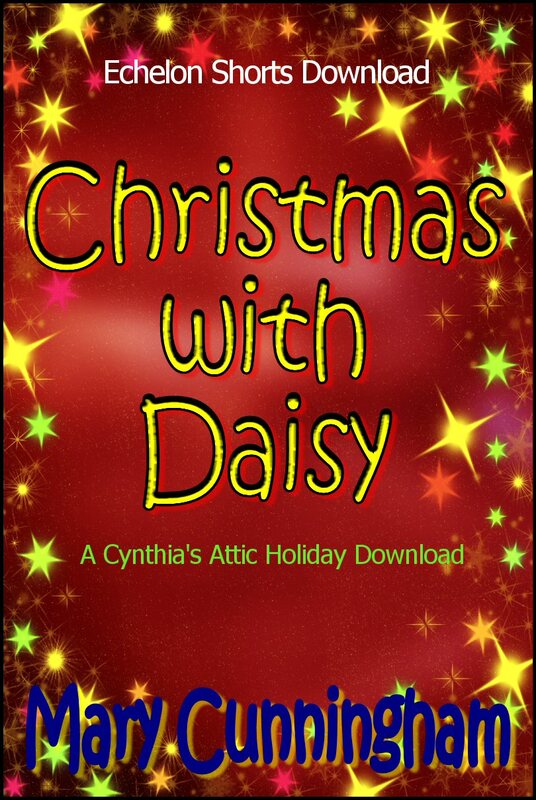 I’m excited about a Cynthia’s Attic short story that’s coming out at the same time as The Magician’s Castle, titled, “Christmas With Daisy.” All buy links for short stories and books can be found on my website. Thanks, so much, for having me as a guest author. I’ve enjoyed the interview and hope readers of all ages will want to discover the time-travel adventures of Cynthia and Gus. Thank you for spending time with us today, Mary. We wish you continued success.